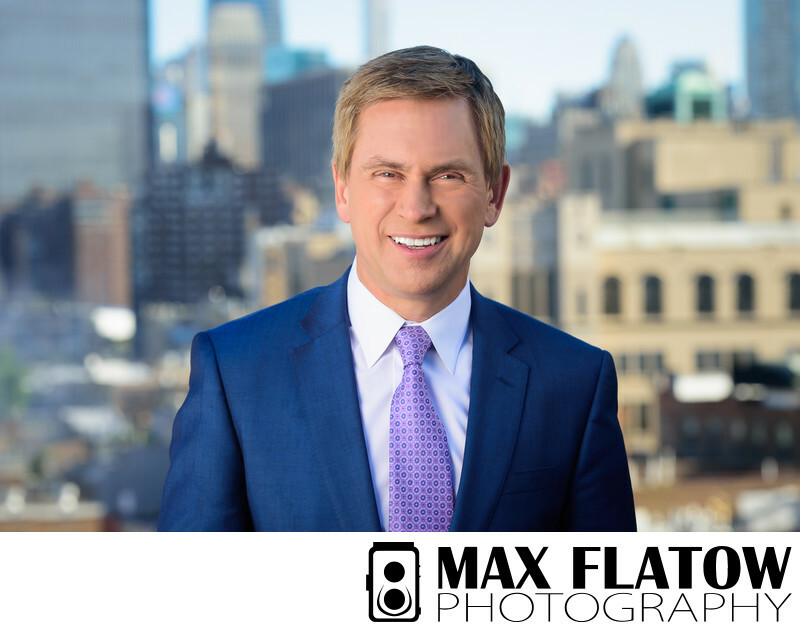 This headshot of NY1 news anchor, Pat Kiernan, was photographed as part of a series of updated portraits for the entire NY1 news team. In Fall of 2018, I was contracted by NY1 to create portraits that showed each of their reporters and anchors in their element - in this case, NYC. We photographed everyone on the roof of the NY1 studios, which shares the same building as Chelsea Market. It was the perfect setting for NYC-centric portraits, with Chelsea, Midtown, Upper Manhattan and the iconic Empire State Building serving as a wonderful background. It was a windy two days, so a bit of photoshop / stray hair removal was a necessity! Luckily, retouching services are included in massive corporate headshot jobs such as this. Every member of the NY1 news team was a delight to work with, and I look forward to continuing our relationship for future projects! I'm fully adept at photographing company headshots, whether it's in the comfort of your office, outdoors in a natural setting, or in my Gowanus, Brooklyn photo studio. I have experience in photographing small, local businesses in addition to gigantic Fortune500 companies. Feel free to contact me at any time to book your headshot session today! Location: 75 9th Ave, New York, NY 10011.